Mumbai-based Digital entertainment startup Pocket Aces has raised $3 million in a funding round led by Sequoia Capital India. Other participants in this latest round include North Base Media, Aarin Capital, Axilor Ventures and Freecharge founders Kunal Shah and Sandeep Tandon. 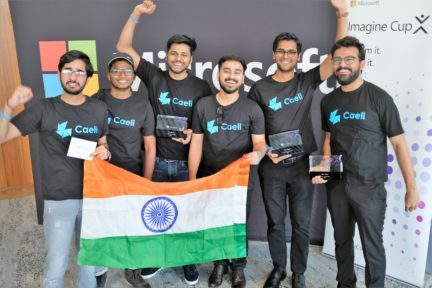 Founded in 2013 by Anirudh Pandita and Ashwin Suresh, Pocket Aces is leveraging technology to create and distribute engaging content for the Indian millennial. Through its brands, Dice (web series, sketches), FilterCopy (short form content) and Gobble (focusing on food), the company has created and distributed some of the best performing, original digital content in India and has already built a subscriber base of over 1.85 million. Pocket Aces counts Penguin Random House, Marico’s Saffola, Godrej’s Cinthol, FreeCharge, Tinder, Swiggy, VelvetCase.com and Little App, among its clients. “We are not looking at platforms as our main source of revenues but ancillary revenues,” said Ashwin Suresh, Co-founder Pocket Aces.